Here you will find important information on how to become a member of The Civilian Party. The Civilian is registering a political party with the intention of contesting national elections and bringing about negative change. In order to do this, we need to assemble 500 eligible financial members so that we can become officially registered with the New Zealand Electoral Commission. You can help us reach this goal by becoming a paid member of The Civilian Party. All you need to do is fill out the membership form on this page, and send it to us along with a membership fee of your choosing. Be a citizen or permanent resident of New Zealand, having lived here continuously for a minimum of one year. Want ice cream, or want others to have ice cream. 1. Download a copy of the membership form on this page. You can find a direct link to the form here. 2. Print a copy of the membership form and fill it out, ensuring that all information provided is accurate. 4. If you are paying your membership fee with cash, be sure that you have enclosed this fee with the form when you mail it. Please ensure that you have included a reference number on your membership form so that we can match it with your deposit and verify your payment. 2. Print a copy of the membership form and fill it out, ensuring that all information provided is accurate. Sign the form. Full membership to the party for a total of 3 years. The right to attend The Civilian Party Annual General Meeting (AGM) and participate fully in that event. The opportunity to become a delegate to represent the party’s membership in your region, if you are selected. Becoming a member of The Civilian Party does not obligate you to do anything for or on behalf of the party, nor does it require you to vote for The Civilian Party in upcoming elections. Any and all information you provide to the party as a prerequisite of membership shall be kept entirely confidential by the party and the electoral commission, neither of which will disclose it without your permission. 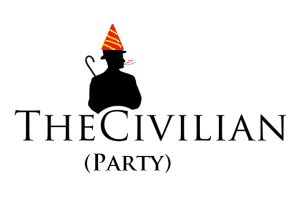 If you have any questions, concerns or other inquiries, please send them to civilianparty@thecivilian.co.nz and we will get back to you as soon as possible.